Julia teaches pupils of all ages (both children and adults), from beginner through to postgraduate level, and is experienced in preparing her students for exams. As a Junior Fellow at Trinity College of Music (now Trinity Laban) she worked with undergraduates and postgraduates as performance anxiety mentor, and also with disabled students. Since leaving Trinity, Julia has also returned to lead an oboe workshop with the oboe students from the BMus course. She teaches mainly in the London area, though can also offer consultation lessons from a base in Oxfordshire, or in other areas by special arrangement. Julia is CRB checked. Julia's pupils have achieved successes including Grade 8 oboe with distinction, and membership of the National Children's Orchestra. She is oboe teacher at City of London School for Boys, where each year she supervises oboe students from the Royal College of Music who are gaining experience of instrumental teaching as part of their course. Julia is also external assessor for final recital examinations at Leeds College of Music. With a degree in Modern History & English from Oxford University, and an MA in Music from Birmingham Conservatoire, Julia is well placed to provide assistance with research skills, programme note writing and the written component of Diploma examinations. She also has experience of adjudicating woodwind and chamber music competitions and giving masterclasses. To enquire about lesson charges or with any other question, please use the contact page. Julia is happy for prospective students to book a consultation lesson to enable them to experience her teaching style, or for beginners to find out more about playing the oboe before making a commitment. 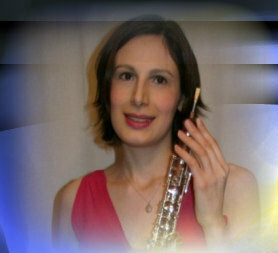 For beginners who do not have their own oboe, Julia can advise on appropriate instruments and rental schemes. "I just picked up Ready, Steady, Blow for a friend of mine whose daughter is just starting the oboe. What a great recording! I especially enjoyed Somewhere over the Rainbow."